Just close your eyes and imagine standing in the place where ancient civilizations may have had their own ceremonies thousands of years ago. 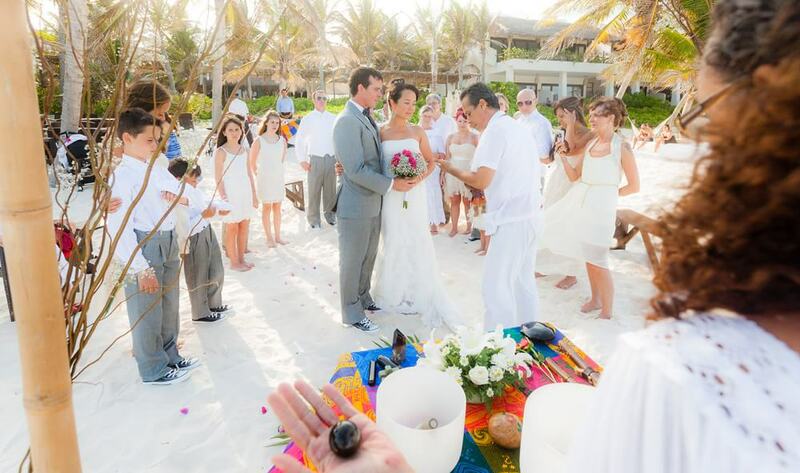 This idea can be a reality and that is why so many people choose to get married at Tulum. You simply cannot reproduce the amazing experience you will have when the waves are crashing toward the shore and one of the most beautiful beaches in the world. 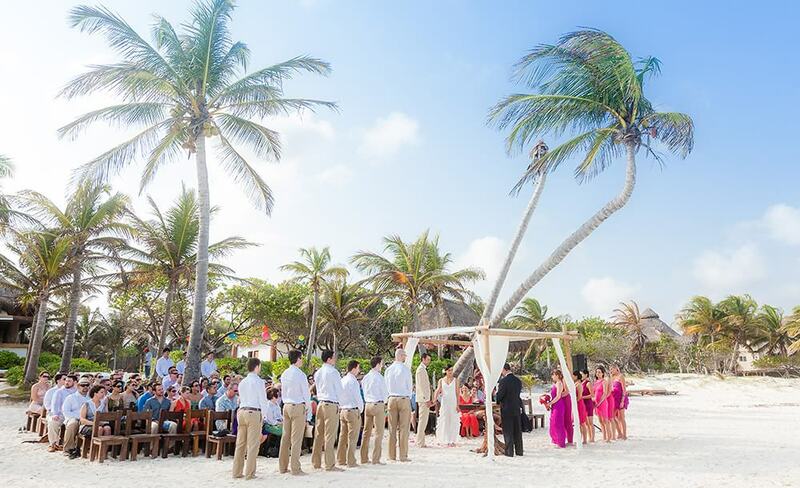 A look into the history of weddings and Tulum wedding photographers will show you that this is the perfect place for anyone to say their vows. No matter where you may be getting married, not all photographers are the same and many of them may be incapable of capturing the exotic landscapes that will surround you on your wedding day. You need to choose a wedding photographer in Tulum that will be able to capture your special day perfectly. 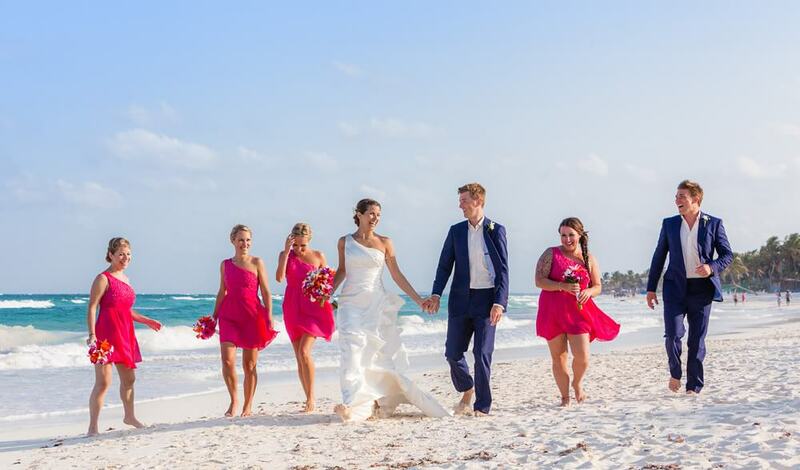 When you visit our galleries of past work, you will see our style and desire to capture not only the beautiful environment but also every perfect moment when you get married at Tulum. The best way to choose a photographer is to see the work that they have done in the past in the same locations and we have photographed a lot of weddings in Tulum for you to view. Tulum refers to two different things, a picturesque town and the ancient ruins on the coastline. As one of the last ancient Mayan cities, Tulum is filled with history. The ruins are located on tall cliffs that overlook the ocean and it was once a thriving city until close to a hundred years after Spanish occupation. During that time, most assuredly Mayan couples were married in some type of ancient ceremony. This is certainly an extremely historical site and when you choose to get married here, you will be stepping back into the past. The town of Tulum is filled with a historic and cultural feel that many people enjoy when they are on vacation. Throughout the town, you will find pueblo buildings that date back hundreds of years. As time has gone by, even the streets of this town have become a favored location for weddings and wedding photographers in Mexico. Photographers of weddings anywhere have a difficult job in front of them. They must ensure they are able to capture every special moment from the vows to the celebration afterwards. Dating back to the earliest times of the camera, Wedding photographers have been working to capture the exotic, tropical, and historic landscape. Over the years, they have learned how to work with the beautiful surroundings and use them in photography. With the advent of digital photography, the Mexico wedding photographer will be able to use tools that enhance the lush greenery and blue skies when couples get married at the ruins or in the town. Not too long ago, there just wasn’t much in the village of Tulum. However, the area called Zona Hotelera Tulum started building up a couple of decades ago and continues to be a place for visitors to enjoy. The term translates to “the Tulum hotel zone” and is the spot for a variety of boutique hotels and Mayan cabañas. This can certainly be a treat for a wedding photographer and the happy couple when they have chosen to spend the most important day of their lives as a traditional Mayan cabaña. For many decades, couples have held hands and said their vows in front of the traditional cabañas, on the adobe lined streets, on the sandy beaches, and near the Mayan ruins. They knew there was something special in the area and any couple in the modern day will see the opportunity as well. Tulum is truly one of the most historic and beautiful locations that could be found on the coastline of Mexico. 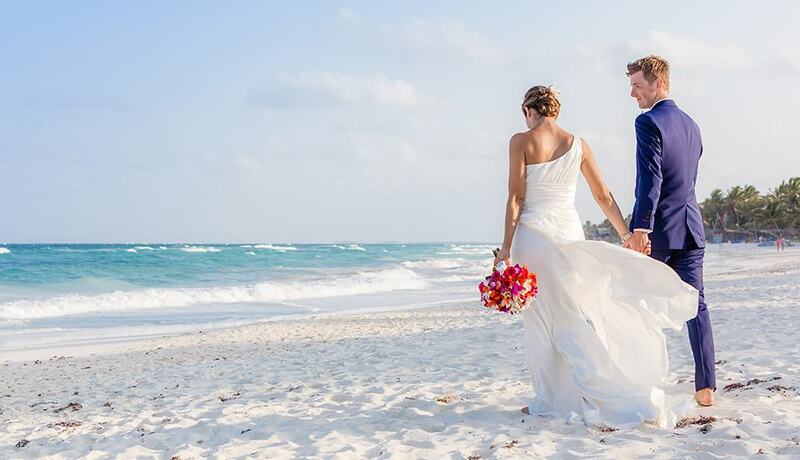 Any happy couple who gets married here will certainly want to choose a Tulum wedding photographer to capture the wild history of the land in the once-in-a-lifetime pictures. For thousands of years, there have been couples in ancient and modern times that have been a part of some type of ceremony in this area making it quite unique and very romantic.